Data provided by the Mechanical Contracting Education & Research Foundation for January 1 to mid-July of 2018 versus the same period last year show significant increases in interns hired and MCAA members hiring interns; a 13% increase in interns hired by 18% more contractors. 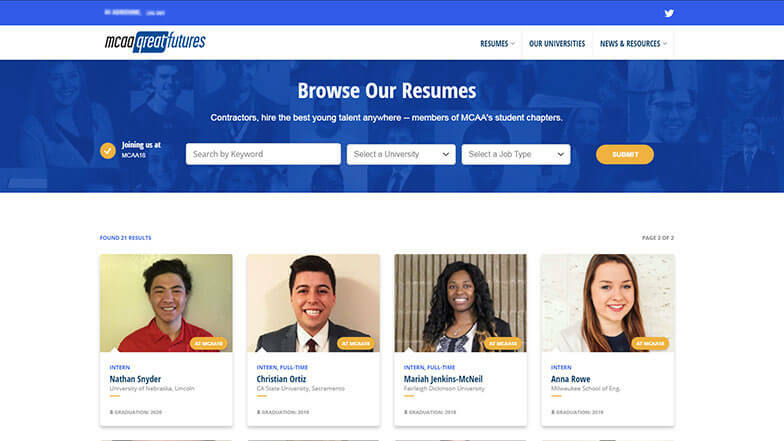 Since its 2015 “Year of the Intern”, MCAA members have come to view hiring interns as opportunities to identify and evaluate potential full-time hires for their organizations. Especially when they get paid $1,000 per intern (maximum of 2) for doing so! MCAA members are increasingly realizing the value proposition of having talented, young interns work at their companies. In the period mentioned in 2017, 184 interns were hired by 116 MCAA member companies; in the same period in 2018, 208 interns were hired by 137 member firms. Building a structured internship program provides the opportunity for member firms to recruit talented students and provides a flexible, cost-effective labor force without a long-term commitment. MCAA believes that students who work for one of its members will enhance their education, their professional experience, and their interest in the mechanical contracting industry. Therefore, MCAA, through its Mechanical Contracting & Research Foundation (MCERF) offers internship grants to current members who hire undergraduates as interns. The amount of the 2018 Internship Grant is $1,000 per intern hired by an MCAA member firm, up to 2 interns. Grants are paid in the form a check from the Mechanical Contracting Education & Research Foundation (MCERF) to the member company. The grant check will be sent upon the acceptance of the company’s 2018 Student Internship Application. An eligible MCAA member is one whose membership is currently in good standing with the MCAA. MCAA members include its mechanical contractor and mechanical service members, plumbing members and its Manufacturer/Supplier Council members. Interns must be students in good standing at an accredited college or university. Though MCAA encourages its members to give priority to students from its 50+ student chapters, this is not a requirement for a grant. Contact Dennis Langley for more information. Registration for MCAA’s 2018 GreatFutures Forum is now open for MCAA Student Chapters! This year’s conference will be held in Anaheim, CA at the Anaheim Marriott from Thursday, September 27 – Saturday, September 29. This year’s GreatFutures Forum will feature MCAA’s 2nd Annual Job Fair on Friday, September 28 from 8:30 a.m. – 11:30 a.m. MCAA Members wishing to participate in the Job Fair can register here. Enjoy a morning of networking with our industry’s future workforce and exploring your fulltime employment, co-op and internship opportunities with these talented and motivated students. As a bonus every intern and full-time hire at the forum will be eligible for a $1,000 MCERF grant. There will be no limit per company. For additional information on what MCAA’s student chapter members will experience at the GreatFutures Forum, please visit our event website. MCAA and the UA will cosponsor a dinner cruise for UA and MCAA representatives attending the 2018 Women Build Nations Conference. Women in the Mechanical Industry Initiative Steering Committee members will represent us at the event, which takes place October 12-14, 2018 in Seattle, WA. The conference offers opportunities for women in the trades and industry stakeholders to network and share challenges and experiences. 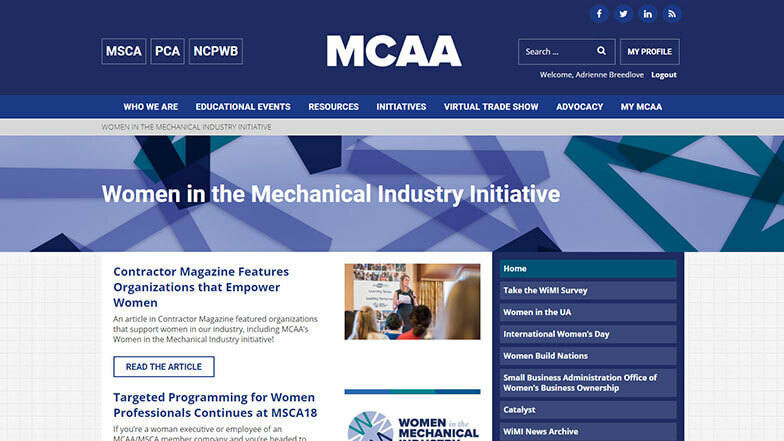 MCAA/MSCA’s Women in the Mechanical Industry Initiative has a new home on the MCAA website! If you’re a woman executive or employee of an MCAA/MSCA member company, this page will keep you up to date on our efforts to enable women in the mechanical industry to further enrich their careers through networking, educational, mentoring and career development opportunities beyond those already offered through membership in MCAA and MSCA. If you’re a woman executive or employee of an MCAA/MSCA member company and you’re headed to MSCA18, join us for a luncheon and discussion on Monday, October 22. This is a unique opportunity to develop some important connections! The event continues MCAA/MSCA’s Women in the Mechanical Industry initiative, a forum to enable women in the mechanical industry to further enrich their careers through networking, educational, mentoring and career development opportunities beyond those already offered through membership in MCAA and MSCA. 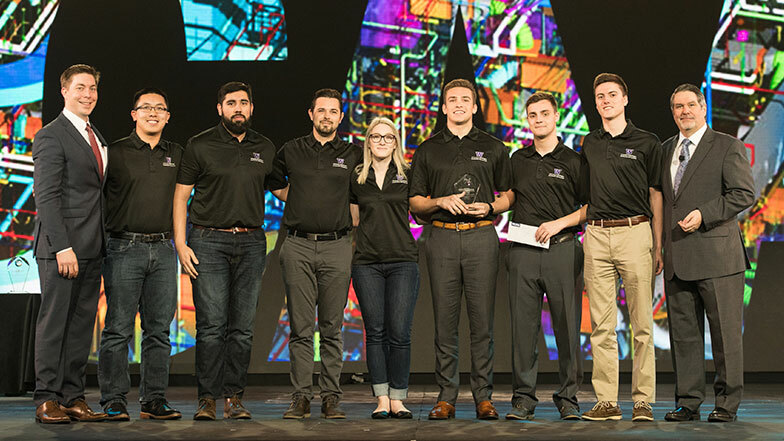 The 2018 MCAA Student Competition brought together future leaders of our industry on the main stage of the convention. The “Final Four” project involved the renovation of the heating and cooling systems for the Fogo De Chao Brazilian Steakhouse in New York City where chapters were tasked with coordinating the removal of the existing equipment and installing the new equipment. The four finalists presented their plans to the on-stage judges and fielded a series of demanding questions. Missed the competition or want a second view? Watch the competition video from start to finish here. 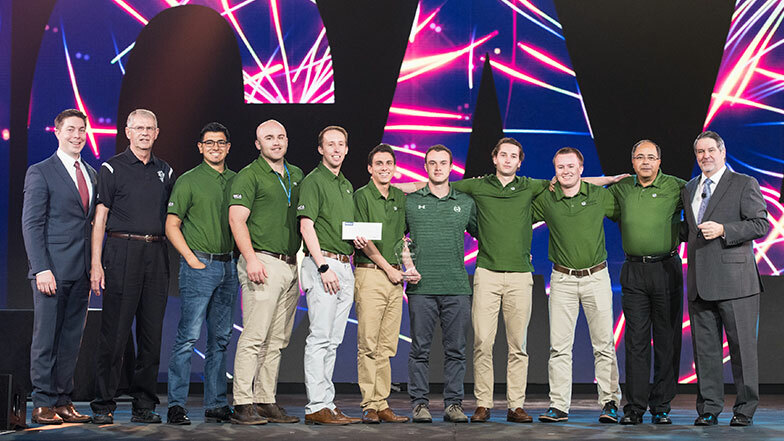 Congratulations again to all the participants and this year’s winner…Colorado State University! The Career Development Committee chose the Student Chapter at Iowa State University as its Student Chapter of the Year. The chapter was selected based on how well it promotes an understanding of the mechanical industry and the career opportunities we offer. In addition to a trophy, Student Chapter representatives Brittany Gronewold, Riley McLaren, Stephanie Shah, and Paige Taylor accepted a $3,000 check. This year’s Educator of the Year award went to Brad Perkins of Iowa State University. 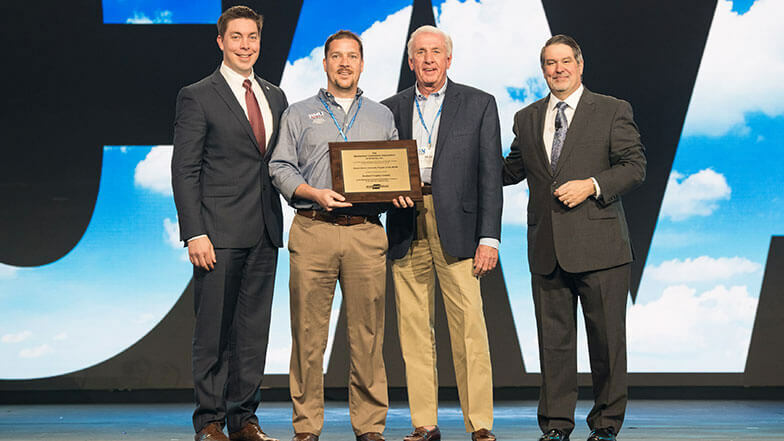 The award, which included a check for $5,000, honored his mentoring ability, industry knowledge and involvement, as well as his active participation in MCAA’s Student Chapter program activities. The Robert Morris University Chapter of the MCAA charter was accepted by Dr. Tony Kerzmann, Associate Professor at Robert Morris University, and Rege Claus, Executive Director of the MCA of Western Pennsylvania, the chapter’s sponsor. 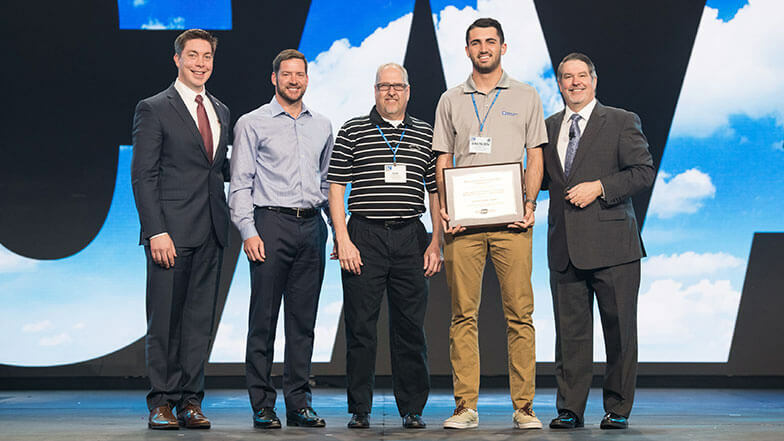 The charter for the Indiana State University Student Chapter of the MCAA was accepted by Student Chapter President Brenden Cox, Faculty Advisor Daniel Bawinkel, and John Rayburn, Executive Vice President of the MCA of Indiana, the chapter’s sponsor. 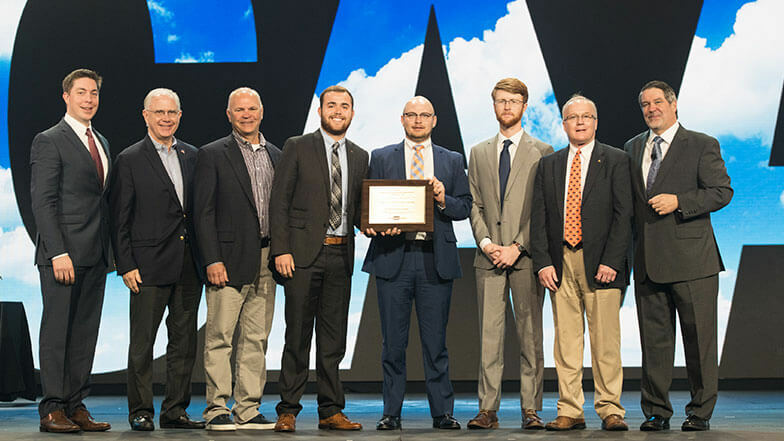 The MCAA Student Chapter at Auburn University charter was accepted by students Eric Brazell, Randall Porterfield, and Chase Lowden, along with Faculty Advisor Keith Rahn and MCA of Georgia representatives Ken Harbour (MCAA Board Member) and Gary Fowler. The MCA of Georgia sponsors the chapter. 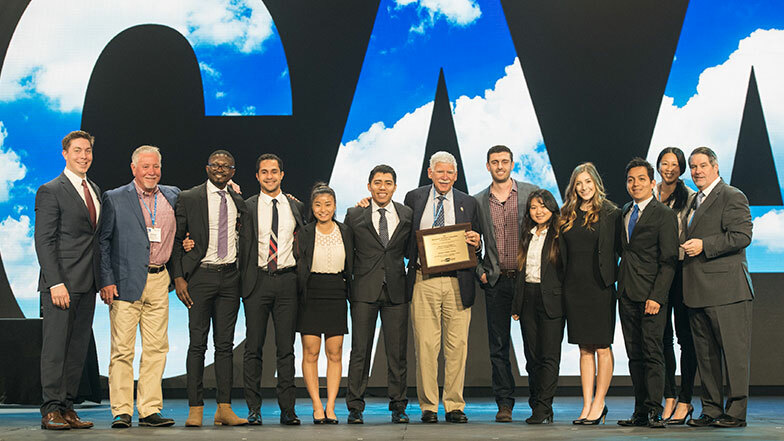 The charter for the CPMCA Student Chapter at the University of Southern California was accepted by Student Chapter President Steve Yemeli, Vice President Felipe Hernandez, students Alexander Huerta, Alfredo Leal, Julia Lind, Kathy Deng, Nicole Wong, Professor Henry Koffman, and CPMCA representatives Harry Bederian and Chip Martin. CPMCA is the chapter’s sponsor. Curious About Wednesday’s Happenings at MCAA18? Check Out Our Daily Recap! Enjoy this recap of Wednesday’s activities at MCAA18! Want to Know What Else Happened on Tuesday? Check Out Our Daily Recap! Enjoy this recap of Tuesday’s activities at MCAA18! We’ll have another video update for you tomorrow! 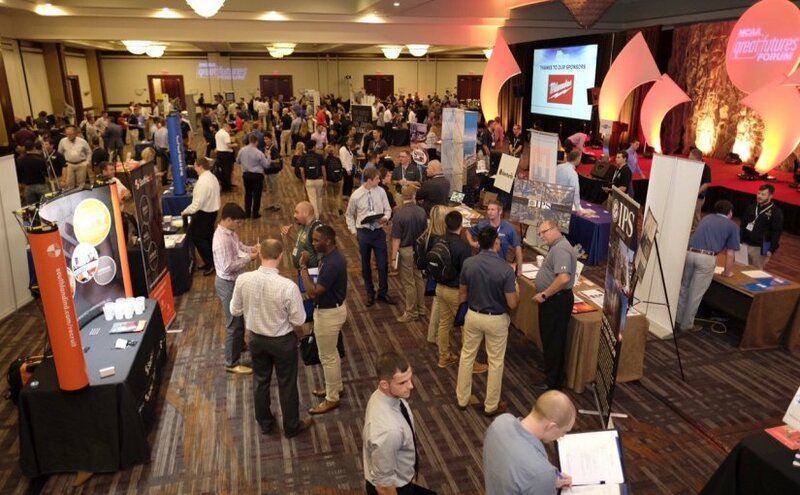 Contractors continued to build relationships with the members of MCAA’s Manufacturer/Supplier Council and student chapter members during the annual exhibits. 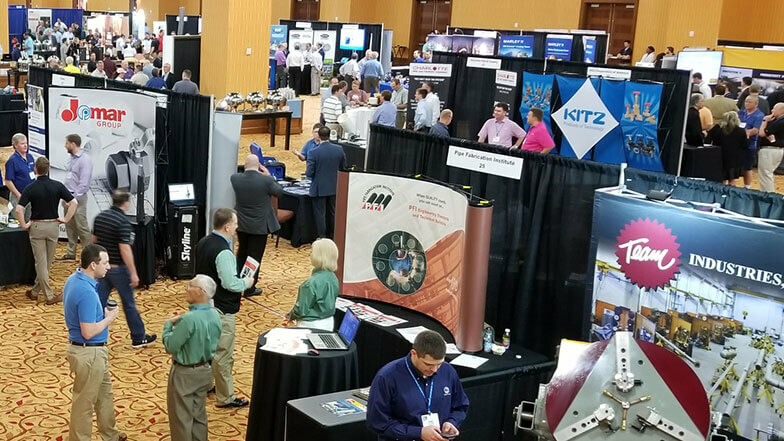 The Annual Manufacturer/Supplier Council Exhibit highlighted well-known products and services as well as solutions that are just emerging to take on the anticipated challenges that lie ahead. The Student Chapter Exhibit provided members with another opportunity to meet students seeking their Great Futures in our industry. Curious About What Else Happened on Monday? Check Out Our Daily Recap! 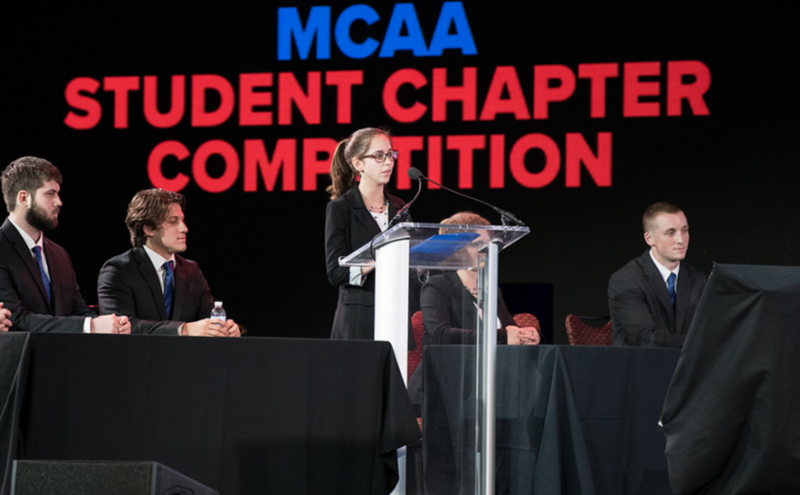 Enjoy this recap of Monday’s activities at MCAA18! Additional videos are coming soon! Our association’s leading women kicked off our Women in the Mechanical Industry forum with a networking reception. During the event, women learned how the forum will further enrich their careers through networking, educational, mentoring and career development opportunities beyond those already offered through membership in MCAA and MSCA. 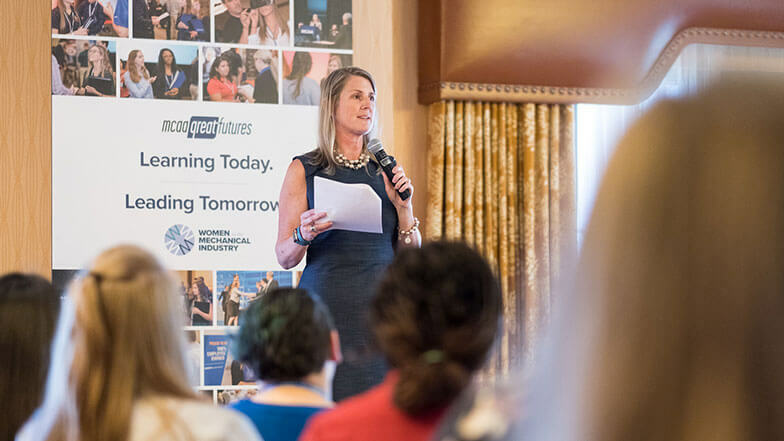 Women in the Mechanical Industry also sponsored a special session on two proven career advancement strategies measured to have the strongest payoff for women professionals. 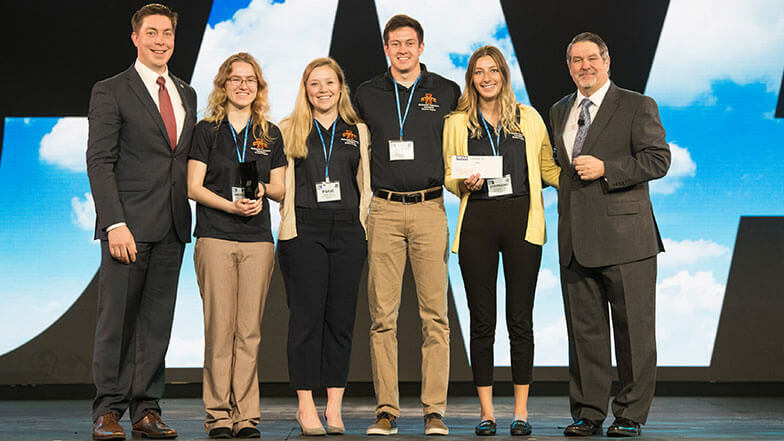 The team from Colorado State University won the final round of the Student Chapter Competition at MCAA18, taking home the first prize and $10,000 for their efforts. Their proposal for the renovation of a New York City steakhouse beat out proposals from the Fairleigh-Dickinson University, the University of Washington and the Wentworth Institute of Technology. Second place honors and a $5,000 prize went to the University of Washington team. The other two finalist teams, from Fairleigh-Dickinson University and the Wentworth Institute of Technology, took home checks for $2,500. Want to Connect with Students at MCAA18? Start at MCAAGreatFutures.org! Looking for new talent to secure your company’s future? Hoping to connect during MCAA18? Start your research at MCAAGreatFutures.org. Hiring Summer Interns? Don’t Forget MCAA Internship Grants! Internships are an opportunity to identify and evaluate potential full-time hires for your organization. Building a structured internship program will provide the opportunity for your firm to recruit talented students and provide a flexible, cost-effective labor force without a long-term commitment. 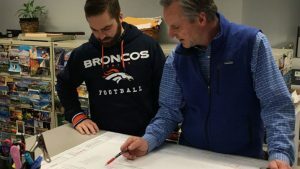 MCAA believes that students who work for one of its members will enhance their education, their professional experience, and their interest in the mechanical contracting industry. Therefore, MCAA through its Foundation is offering grants to current MCAA members who hire undergraduates as interns. The amount of the 2018 Internship Grant is $1,000 per intern hired by an MCAA member firm, up to 2 interns. Grants will be paid in the form a check from the Mechanical Contracting Education & Research Foundation (MCERF) to the member company. The grant check will be sent upon the acceptance of the above 2018 Student Internship Application. Sales Masters Attendees Say that MSCA Sales Masters Program Delivers the Best ROI! Eli M. Mimari – H.T. Lyons, Inc.
News Update – for a Limited Time ONLY, the Sales Masters Program is waiving the prerequisite of attendance at the Sales Leadership Symposium so take advantage of this waiver and enroll now. 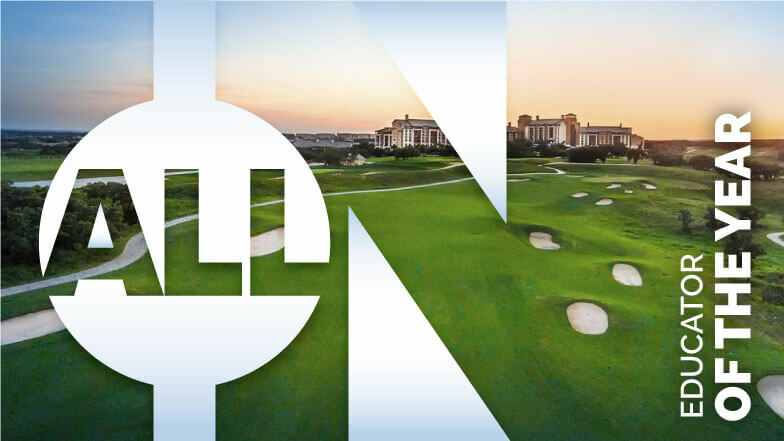 Week One is April 15-19, 2018 in Oak Brook, IL and Week Two is November 4-9, 2018 in Houston, TX. Limited spaces available and no prerequisite, so sign up today! 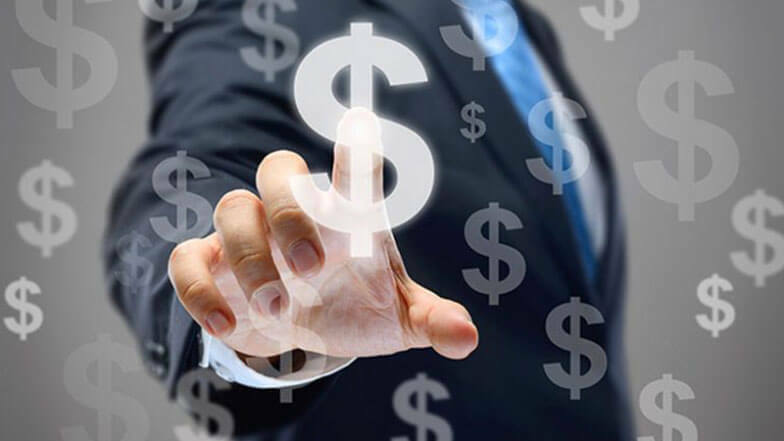 The curriculum, designed by in-the-field experts in partnership with sales specialists from the University of Houston Sales Excellence Institute, is for the intermediate to advance level service sales employee. The tools and insights learned in Sales Masters are certain to take your sales professionals to the next level and allow them to become the go-to resource for their teams and customers. Has your company’s computer system been hacked? If so, you’re not alone. With access to infrastructure and connected systems, contractors are frequently targeted by hackers with a malicious purpose, such as cyber-ransom and systems penetration. 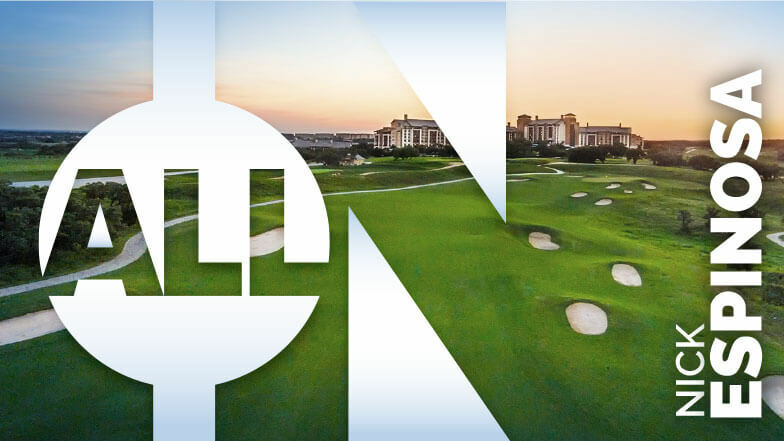 In this session, you will learn to minimize risks to your privacy, data, and business operations in our connected digital world, while enjoying the benefits of technology. To demonstrate how costly and destructive mischief can happen, this session will include a live hacking demonstration! 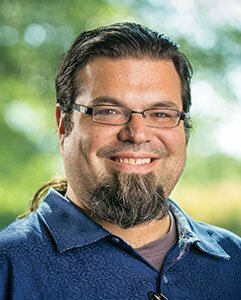 Nick Espinosa is an expert in security and network infrastructure on multiple platforms. He has designed, built, and implemented multinational networks, encryption systems, and multi-tiered infrastructures as well as small business environments. He has been quoted in Forbes, Yahoo!, American Express, CIO, EnterpriseTech, ITWorld, ComputerWorld, Solutions Review, InfoSec, CSO and other publications. He is also the award-winning co-author of a bestselling book on cybersecurity, Easy Prey.